The use of cotton pearls and diamond beads embellishment, like the summer in the ice to bring the coolness of the ice, in accordance with the color name for the excellent grid smooth sand (white cotton pearl) & rose smoothie (pink cotton pearls). 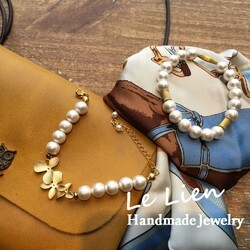 free pearl pendant portion, a length of about 39-40cm, chain extension using no clasp, if necessary to change the contact. 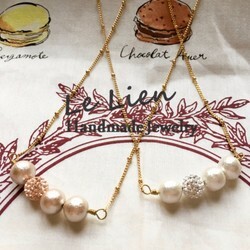 Gold Plated Chain & Gold Plated, Copper, Beige Cotton Pearl 8mm, White Diamond 8mm, Swarovski Pearl.